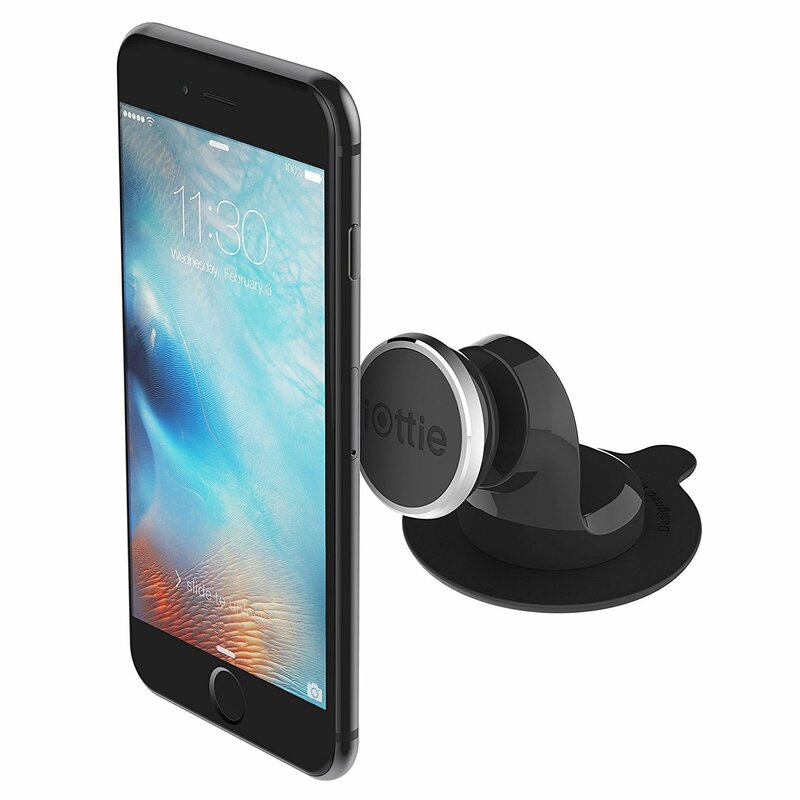 iOttie’s iTap Magnetic Dashboard Mount is a dashboard mounting solution that provides a strong grip for smartphones using a magnetic hold. The iTap Magnetic features an aluminum bezel in its contemporary design to compliment auto interiors effortlessly. The mount holds most smartphones and cases securely with a durable metal plate and grip from 6 rare earth magnets. Once the metal plate is in close proximity of the mount, you can feel the powerful grip of the magnetic mount. 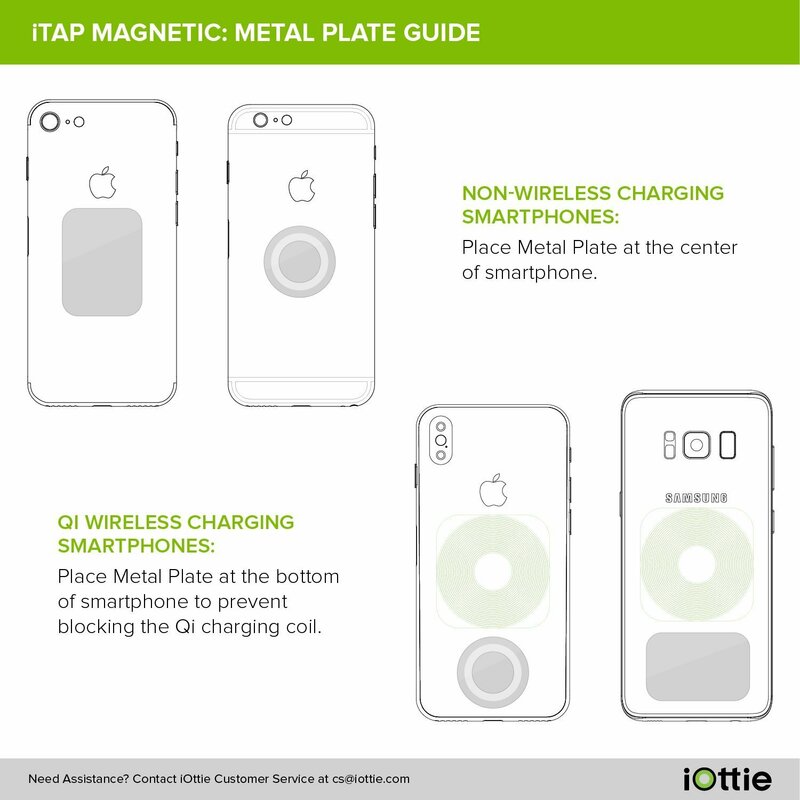 Simply attach the magnetic plate to your smartphone, mount with one hand, and go! 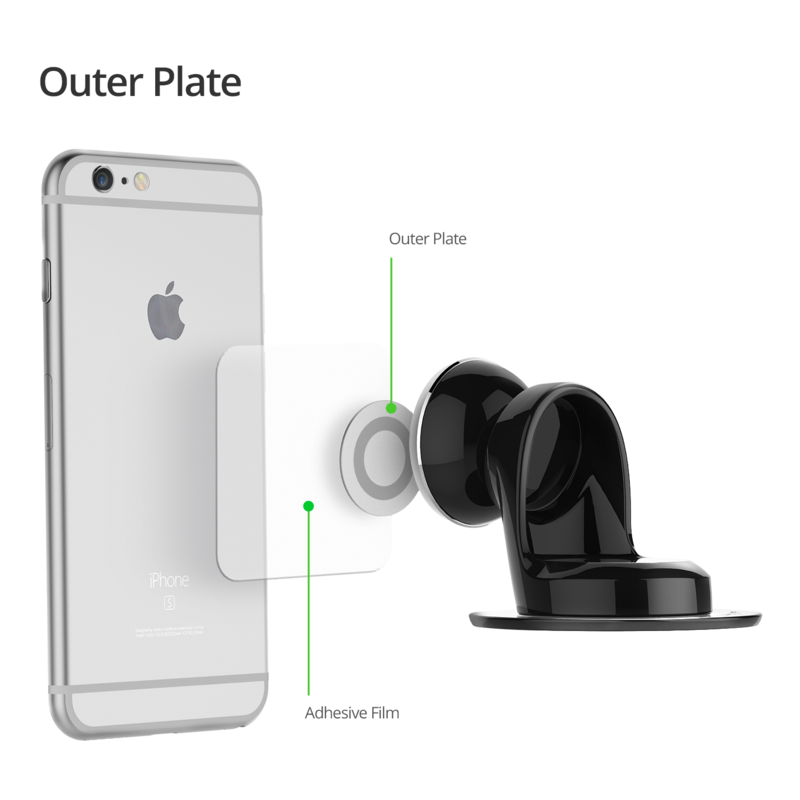 Use the Metal Plate provided to attach to the back of your bare smartphone or case to securely mount your device (included in the package are 2 separate metal plates). The Metal Plate can also be concealed between your smartphone and a case, still providing a strong attachment to the mount. Top and base connected by a ball joint allow for swiveling angles for better viewing. 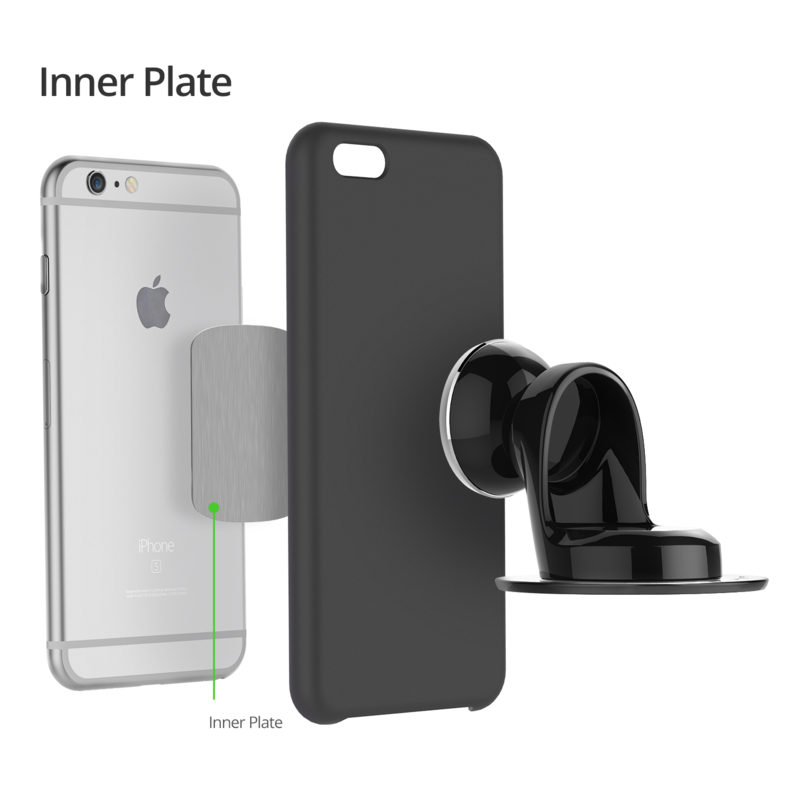 Use the Metal Plate provided to attach to the back of your bare smartphone or case to securely mount your device (included in the package are 2 separate metal plates). 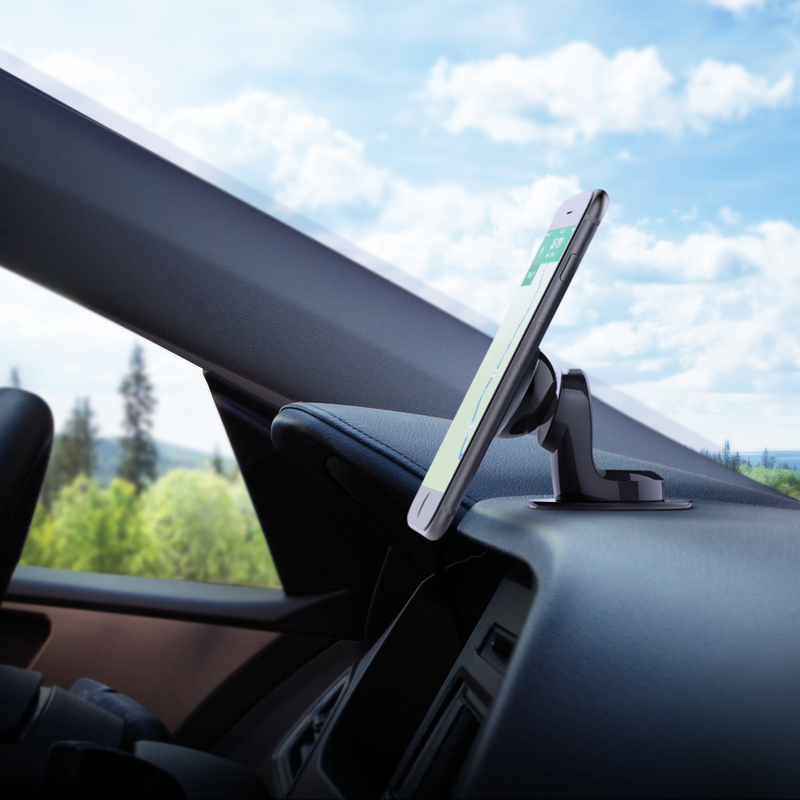 The Metal Plate can also be concealed between smartphone and case as well and still strongly attach to mount High-quality adhesive tape permanently fixes the mount to your dashboard and can be easily removed with no residue. 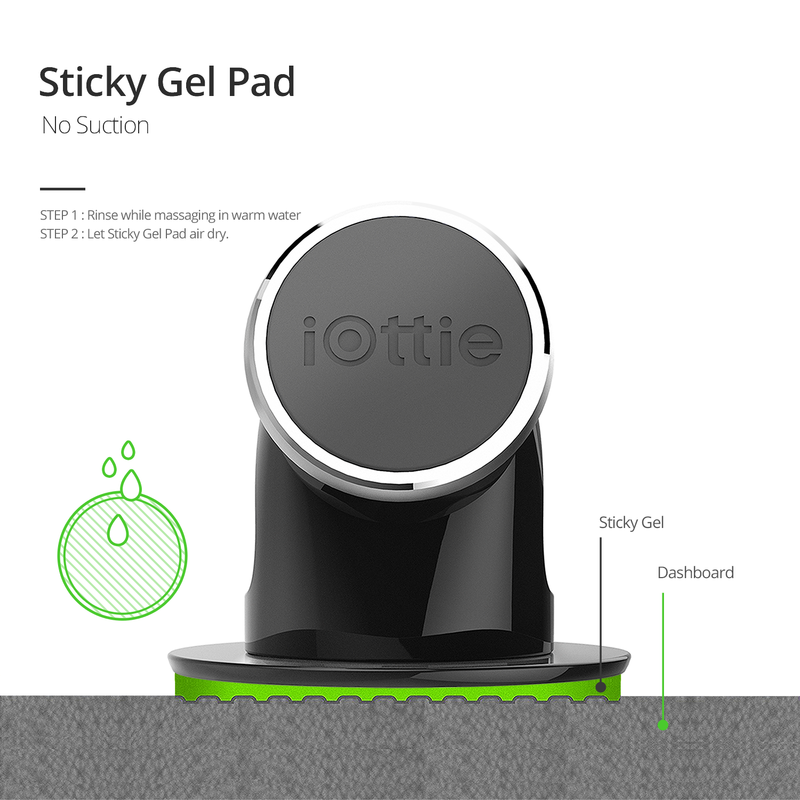 Step 1: Peel cover off Adhesive Tape and stick the dashboard pad on designed location. Step 2: Press firmly around the edge of the Dashboard Pad to create a tight seal. Strong adhesive tape provide suction free mounting on dashboards.